Before Lewis Silkin, I worked for another law firm in a similar capacity. I set up China Desks to support the increasing numbers of Chinese corporates and individuals who are investing in the UK. Subsequently I have been able to build an extensive network in China who prove invaluable for UK clients looking either to invest or do business in the Chinese market. I am extremely well placed to provide a bridge between clients and lawyers throughout the firm providing advice in all areas of law in the UK. I offer services to Chinese corporates, real estate developers, education institutions, high net worth individuals, as well as to UK companies looking to invest or do business in China. I have particular expertise in setting up joint ventures between UK and Chinese education institutions or entrepreneurs in China looking to establish international schools in China. In addition to advising clients on inbound and outbound investment, I provide a wide range of immigration law support to institutional and individual clients seeking to obtain visas in the UK for investment, work, study and permanent residence. Prior to my career with law firms, I worked for leading global education provider Navitas Group (also known as International Development Programme (IDP)) as an education and immigration consultant, providing tailored education and immigration advice to 37 different nationalities. Having spent 20 years working with the leadership teams of Chinese and UK companies I have gained insightful understanding and knowledge of the nuanced differences between Chinese and Western culture in the way of thinking, communicating and working to effectively operate within the different business environments. I have a strong understanding of Chinese investors’ tailored need for global investment, and in familiar with the investment strategy, operation, preference, constrains, evaluation criteria and decision making processes. I provides a wide range of immigration law support to institutional and high net worth individual clients seeking to obtain visas in the UK for investment, work, study and permanent residence. I provides tailored immigration advice covering Tier 2 and Tier 4 Sponsor License application, Sponsor Management System works, Tier 1 (investor), Tier 2 (General), Tier 2 ( ICT), Tier 4 (General), Tier 4 (Child), and settlement and nationality applications. Having spent 20 years working with the core leadership teams of Chinese and UK companies, I support the increasing numbers of Chinese corporates and individuals investing in the UK. Subsequently, I have been able to build an extensive network in China who can prove invaluable for UK clients looking to either invest or do business in China market. 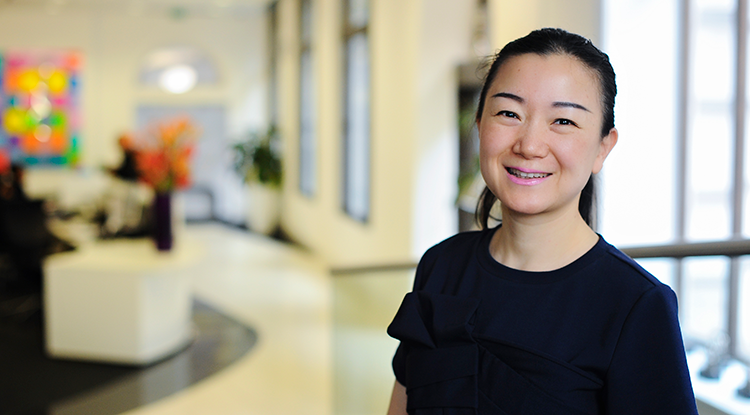 I am extremely well placed to provide a bridge between Chinese developers and lawyers throughout the firm for providing advice in all areas of UK property law. I work closely with the real estate team to offer services to Chinese developers, which includes finance, land acquisition, plan permission, construction, and plot sales. I have an insightful understanding of Chinese investor's tailored need for global investment, and is familiar with the investment strategy, operation, preference, constrains, evaluation criteria and decision making processes.